Image used under Flickr Creative Commons license from Teeejayy. Summer isn’t the only time for a great Alaska vacation. Sure, the hustle and bustle of the peak season is exciting, but there are some incredible events in the colder months that might not be on your radar. Music enthusiasts will love the Anchorage Folk Festival; spanning the last two weekends of January (and starting tomorrow!) the festival celebrates its 26th year with 11 days of nonstop music and fun for all ages. The California Honeydrops, an energetic band influenced by Southern soul and Delta blues, headline the first weekend. The second weekend features two bands — Cajun Country Revival and Foghorn Stringband — with enough Cajun, old-time music goodness to satisfy any ear. In addition to the stellar guest bands, hundreds of local Anchorage musicians will take to the stage to provide entertainment all weekend long. 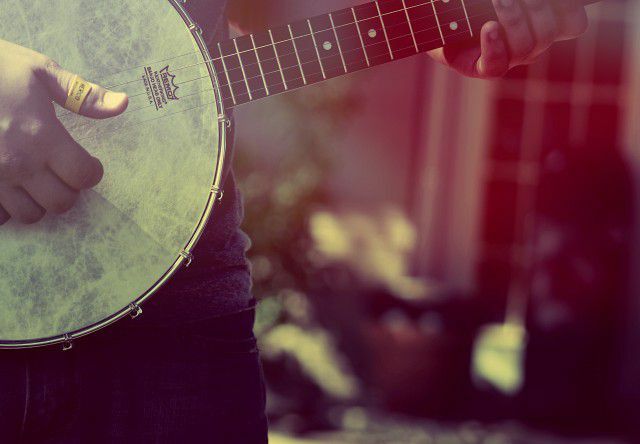 From kid bands to seasoned old-timers, bluegrass to gypsy jazz and even a barbershop quartet, the folk festival showcases Anchorage music scene favorites as well as some hidden gems you might only see out and about once a year. All of these performances are held at the Wendy Williamson Auditorium on the University of Alaska Anchorage campus. For every person who likes to sit down and relax while listening to music, there’s another who prefers to get up on two feet. Well, the Anchorage Folk Festival hears both camps loud and clear; guest bands are also throwing some dance parties while they’re in town. The California Honeydrops will take over Anchorage Community Works, a local art co-op, on Saturday, January 17 for a late-night social dance that’s sure to be a rousing good time. Cajun Country Revival will get your boots stomping at the Cajun Madi Gras Ball on Saturday, January 24 at the Snow Goose Theatre. And if you’re new to dancing, there are plenty of free dance workshops all weekend that will teach you how to waltz, swing, contra, two-step and more! If you often leave a good show totally inspired, or wishing that you had a little more musical talent, definitely check one of the 45 free workshops that the festival organizes. There’s something for everyone, whether you’ve never touched an instrument or if you’ve been playing for years. All workshops are held in the Professional Studies Building, connected to the Wendy Williamson Auditorium and the rest of the festival. In addition to the larger performances, dances and workshops, the festival also presents Folk Week, an event that bridges the two weekends with live music all over Anchorage. Participating locations this year are Tap Root Public House, McGinley’s Pub, Organic Oasis, Hard Rock Café, Jitters and The Red Chair Café. There’s an evening of music at each one, Tuesday, January 19 through Thursday, January 22. Whether you’re just passing through or determined to hit every event, the Anchorage Folk Festival is one of the best ways to warm things up in January! Watch a little, dance a little, learn a little and you’ll be looking forward to next year before the month is through.